In the Christian liturgical calendar, November is entirely devoted to the deceased. 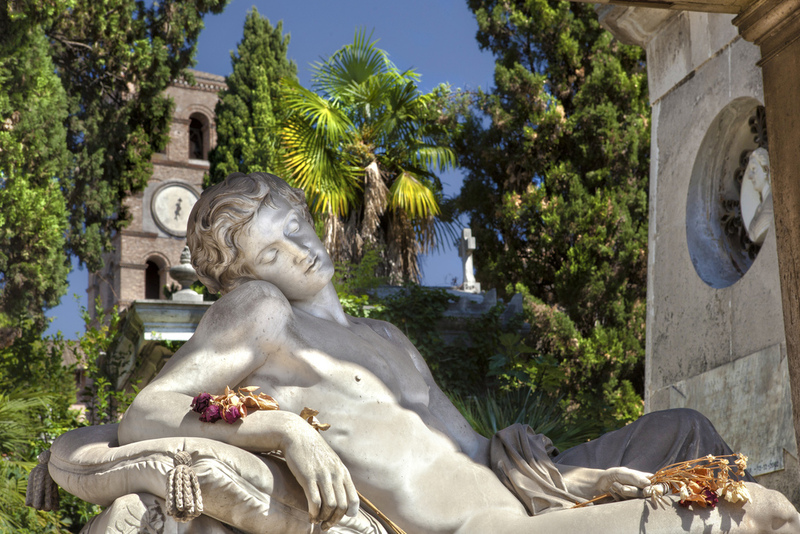 That's why it is dubbed the “Month of the Dead” which makes it an ideal time to explore Rome’s Monumental Cemetery, Campo Verano. Join us as we learn of the cemetery’s Napoleonic origins, its artwork and, above all, the interesting people who rest there, including saints, football players, war heroes, resistance fighters, writers, actors, and film directors. Where: In the vicinity of Campo Verano Cemetery; exact location will be sent to confirmed participants by email. RSVP: canadarome@gmail.com ATTN Joe by Thursday, November 8, 2018. You are financially responsible for your reservation.